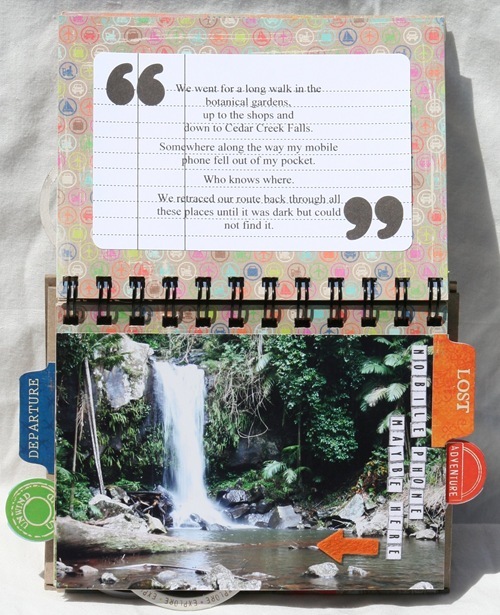 Caz has used the new Junkitz Destination range to create a flip album about her recent family trip to Queensland to visit her Mum and brother. 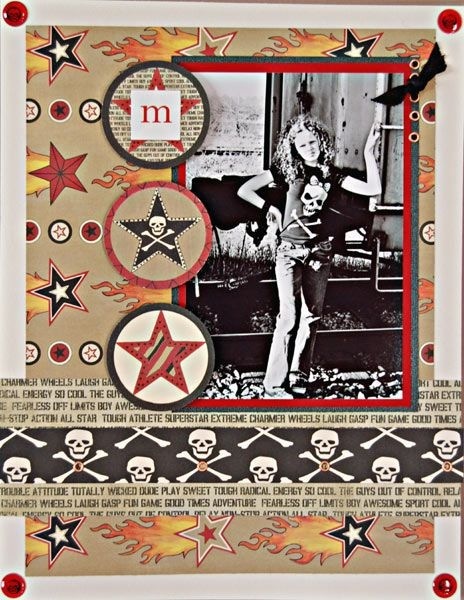 She used the 6x6 Destination Junk Padz as her base, and the Destination Stickerz, Destination Mini Feltz, Destination Chipboard Tilez and Destination Chipboard Roundz to embellish her album. 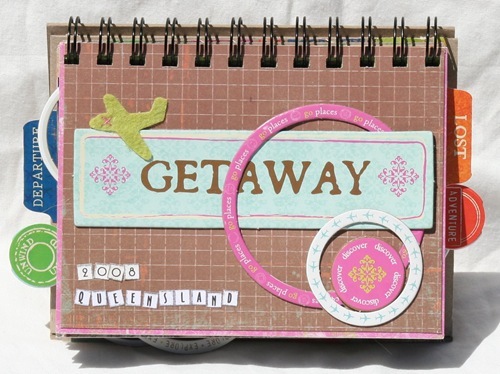 Luxe design Jotters and Carolees Creations mini alpha stickers have been used for the journaling. 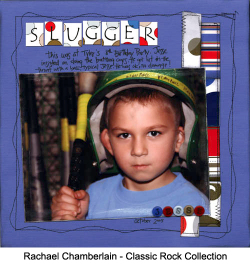 The album was bound at an office supply outlet. Here are a few of the pages. Gretchen McElveen says she loves having friends with adorable kids! 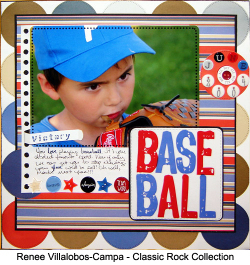 She has lots of Junkitz Salsa Celebrations stuff going on here - we love the dynamism the stripes give the look of the page. 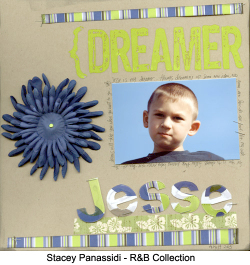 Caz has always been a fan of Scrapjazz Blue Crew member, Jaime Warren’s work, so we were thrilled when she allowed us to use her layout in this post. 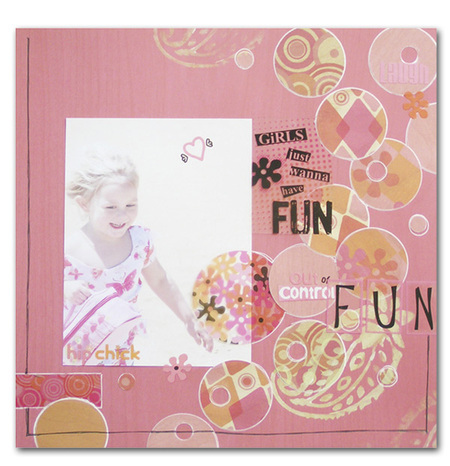 Jaime has used the Junkitz Salsa papers which are just pure fun to work with. 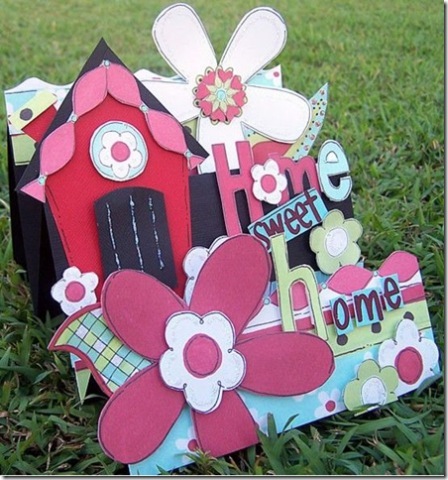 She has inked the edges of the paper strips lightly giving the whole page dimension and cut one of the line flowers from the Salsa Floral paper for a cute embellishment. 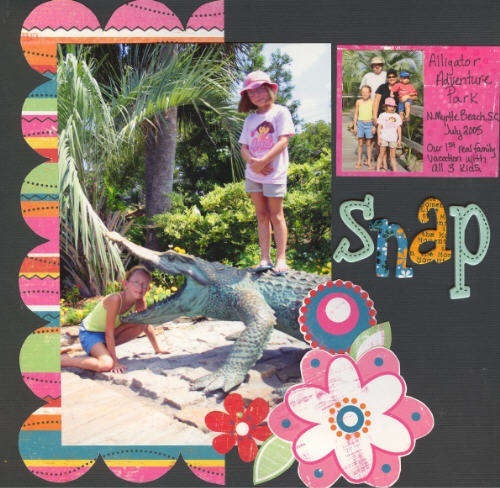 The fun photo and funky scalloped photo mat of Ashley Herrell’s layout caught our eye when we were browsing the Scrapjazz site. Ashley has used the Junkitz Celebrations Giftwrap paper as a photo mat and has cut some of the cute flowers from the Bloom paper to create an eye-catching bouquet. Thanks for allowing us to show your layout Ashley. 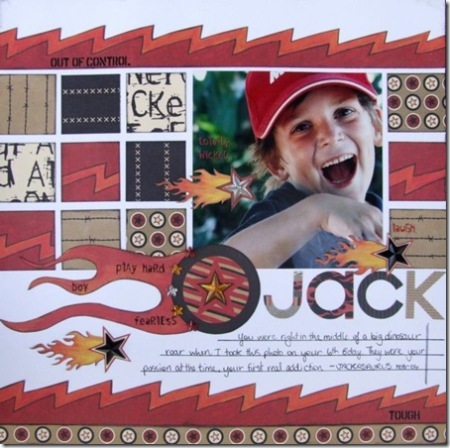 Thankyou to twopeas member kimmiec1 for allowing us to share her layout using the Junkitz Extreme Boy range. It just goes to show that the range can be used for ‘Extreme Girls’ as well. 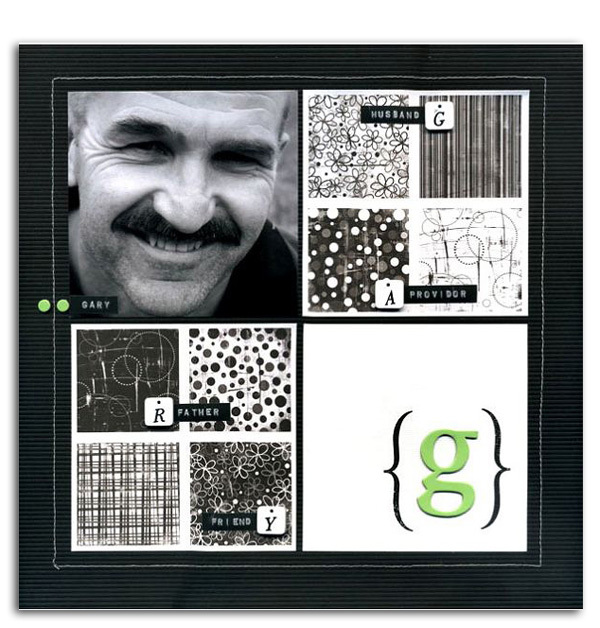 The use of the circle embellishments and the black and white photo combine to make a fantastic layout. christiane müller, germany : i've used the junkitz *laguna boy* against my november depressions!! ;) it's sooo cold an rainy in germany!! And finally two wonderfully lively layouts from Christiane Muller in Germany. 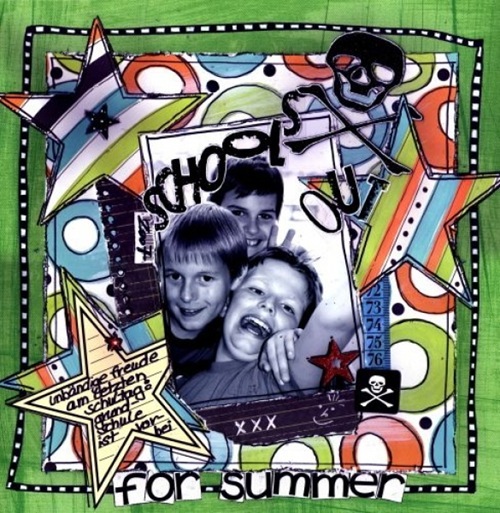 She has used Laguna Boy in the top 'thirst' layout and the Delight-ful range in Schools Out. Love the glee on the kids faces. Thanks for allowing us to share Christiane! Junkitz has long been a favourite manufacturer of mine, in fact I love their products so much that I applied to be on their international design team earlier this year and was very excited when they chose me for one of the positions on their team! Although I have since resigned, I still love their product. Junkitz is a family owned business and Stacey and Kenny Panassidi have both poured their creative talents into Junkitz to make it the wonderful company that it is today. Starting with just a button and zipper line of products to now producing over 1000 different products. I think the Junkitz motto 'Unzip your Imagination' says it all - their ranges are always innovative, creative and most of all fun! 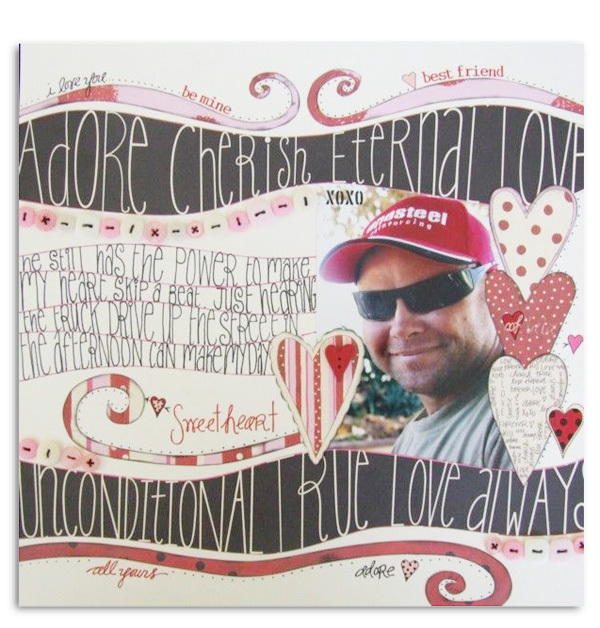 The flowers on Junkitz papers are always begging to be cut out as Chris has done with the Fanciful papers here. The flowers themselves them become a matching accent on the layout. Chris says she can't get enough of this range of papers, which she says is quite unusual for her as she doesn't scrap a lot of boy layouts. 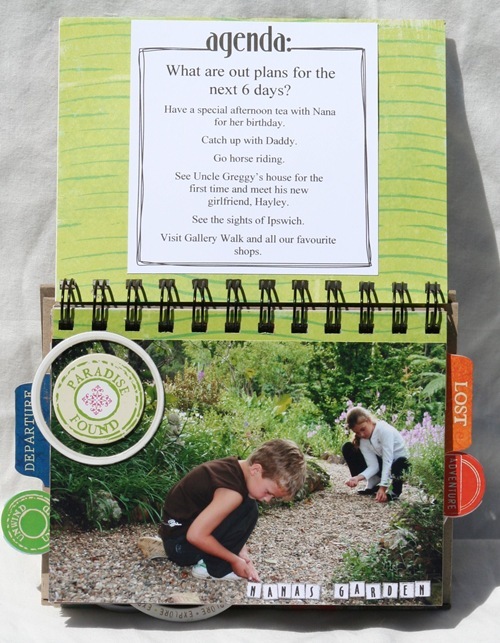 The Extreme boy range is so striking and each paper in the range has it's own fantastic design allowing layouts to be created so easily and with such a fun and eye catching effect. Once again Chris has cut out the flowers from the Fanciful papers and used them as accents on her page. 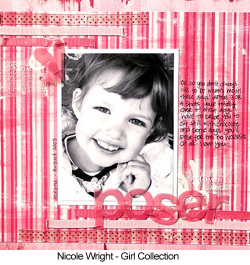 Combining them with Heidi Swapp bling accents to create such a pretty, feminine feel to the layout. 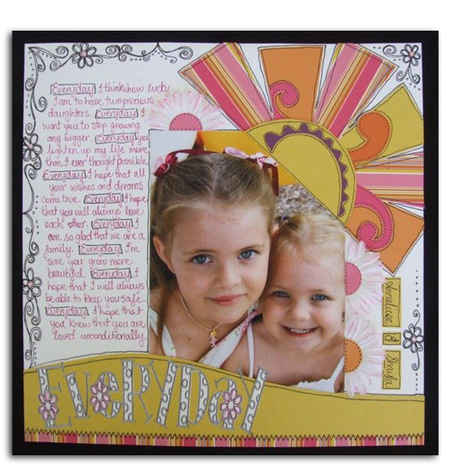 The Basic Grey Vine border rub-ons also helps to create a softness to this layout. 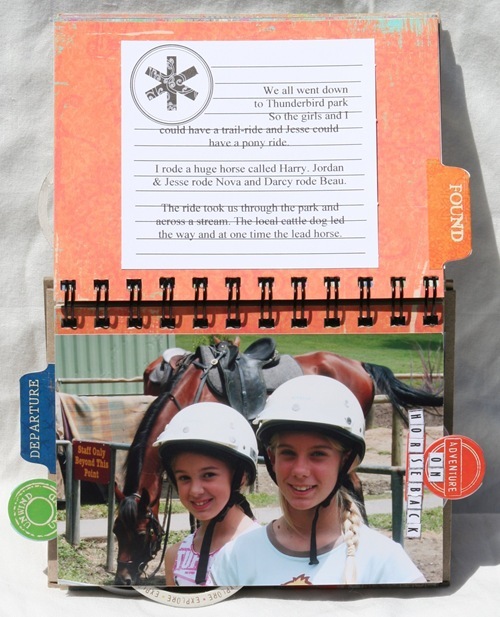 Chris also loves the matching alpha topperz that Junkitz have created for their range of papers as it makes it so easy to co-ordinate a title for her layout. The Salsa Celebration range has fun written all over it! 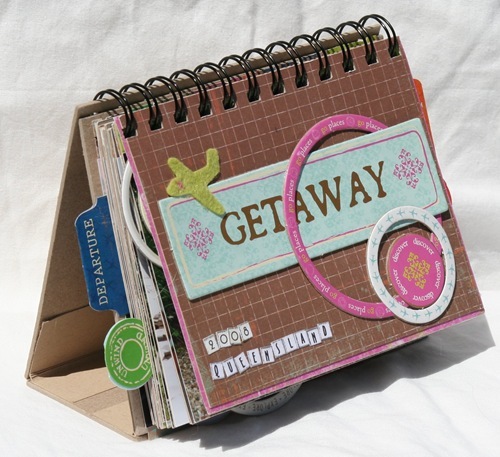 Perfect for all types of layouts from birthdays to a girls night out. Chris has used the papers and a Junkitz ruler book to create a signature book for her sister in laws 21st birthday party. 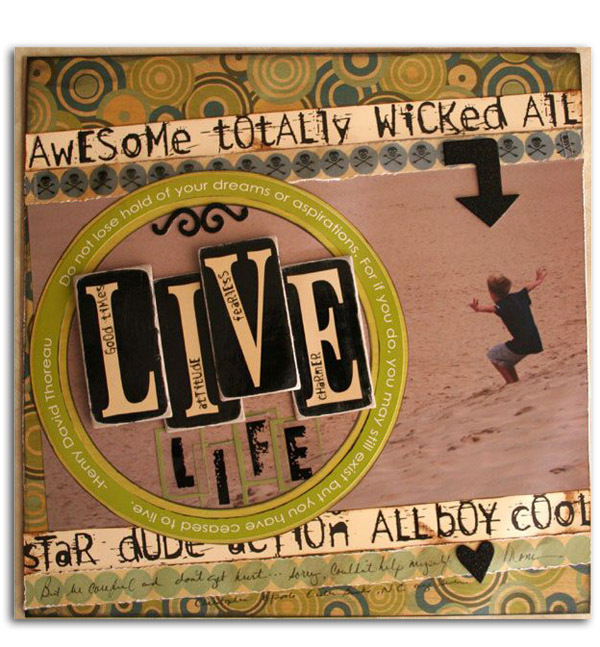 Carole Janson is a fellow Aussie who is also on the Junkitz International design team. 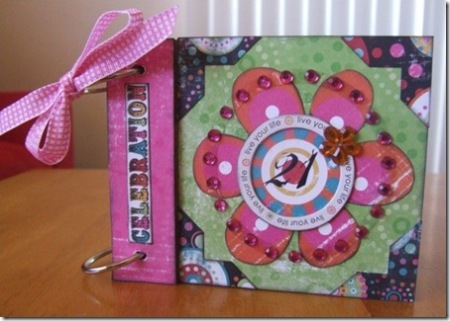 Carole works wonders with the colourful flowerful range creating this stunning folding card. Thank you for sharing with us Carole. 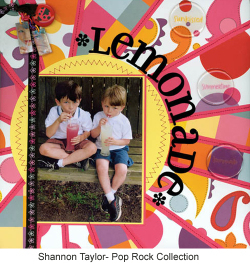 Kathleen Taylor from the Junkitz design team had the perfect photo for the new School Days papers. We love how Kathleen has allowed the photos, accompanied by these paper tell the story on this page. 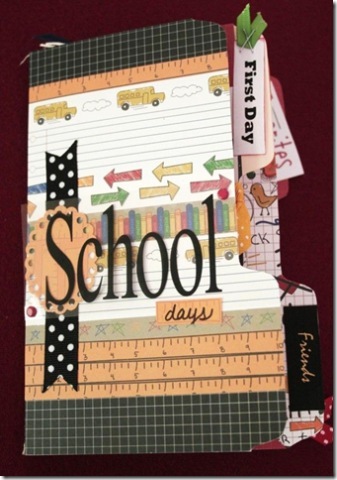 Debbie Hill who is also on the Junkitz design team has created this fantastic mini book using the School days papers. What a great concept for these papers. Thank you Debbie for sharing your work with us. It's running late - but it's worth the wait. We hope you're inspired - I know we were. Junkitz has such a versatile range of papers - truly something for everyone. With this layout Rachel Axton wanted to create a centre focal point, so she used a 6x4 photo on a 12x12 layout. 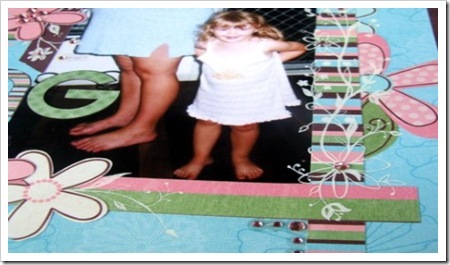 She then bordered the photo with strips of paper and the flowers, then finished off with the title and some rub-on corners. This is a great way to highlight detail on a small photo. 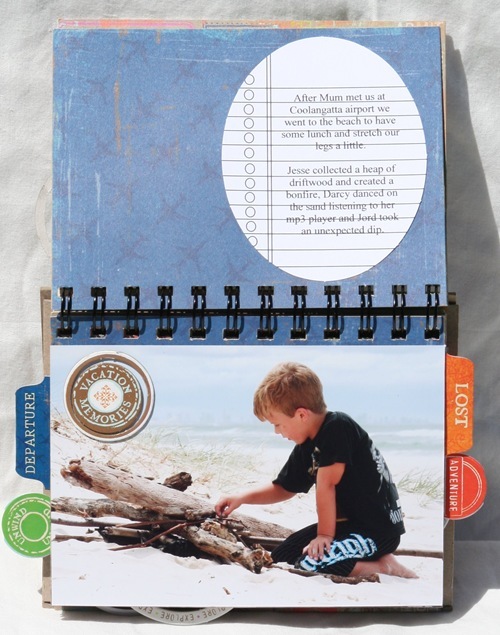 Suz has used Laguna Girl papers, transparent alphas and embellishments in this fun layout of her daughter on the beach, as well as having a play with the must have box of rainbow acrylic paints - cute and perfectly portable for crops - and their new foam stamps. 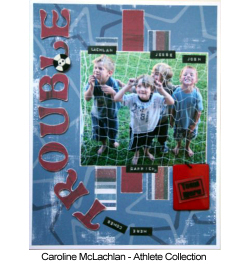 One of our most recent additions to the Aussie Scrap Source design team is Christine Millar. Her 'official' work won't debut for a few weeks, but we'd already snaffled a few of her layouts for the Junkitz blog entry. Chris uses Teresa Collin's Love Line papers here for a beautiful tribute to her DH. 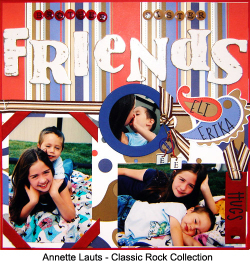 The Pop Rock collection by Junkitz is so fun and funky, and we love the way that Chris has interpreted it. The doodles work so well with these papers and the photo is gorgeous! Love everything about this layout! We also congratulate Chris here for being invited to join the Junkitz design team. Interpreting Junkitz papers like this though, it's no surprise! 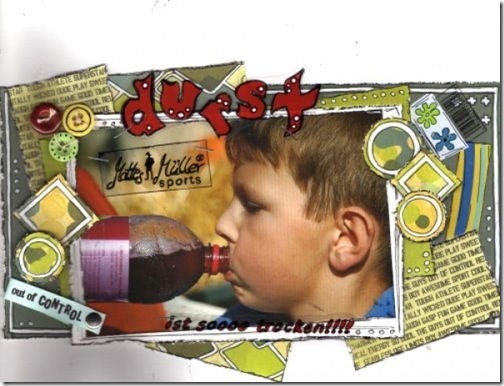 We love these two layouts which formed part of Jody Dent Pruks' entry into the Junkitz Competition for 2006. The simple but sophisticated designs maximise the effect of the patterned papers. 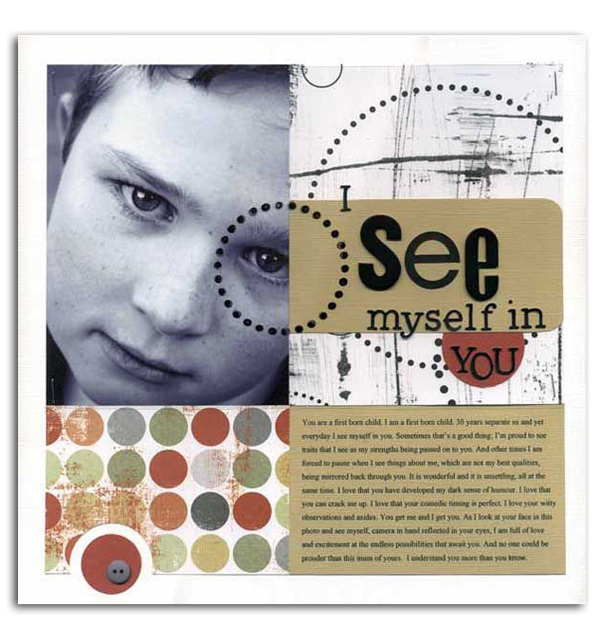 We love this layout because it uses the Laguna Guy range so well, it is a grungy paper that is so boy, and I love how Celia King has mixed this with the stunning black & white photos. 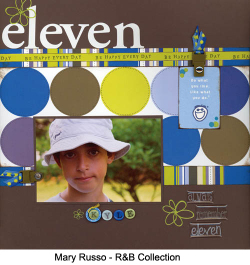 We found these three fabulous layouts in Mary Russo's gallery. Boy layouts seem to have to work harder to manage the same level of eye-pleasing-ness as girly ones, but Mary does it with ease. 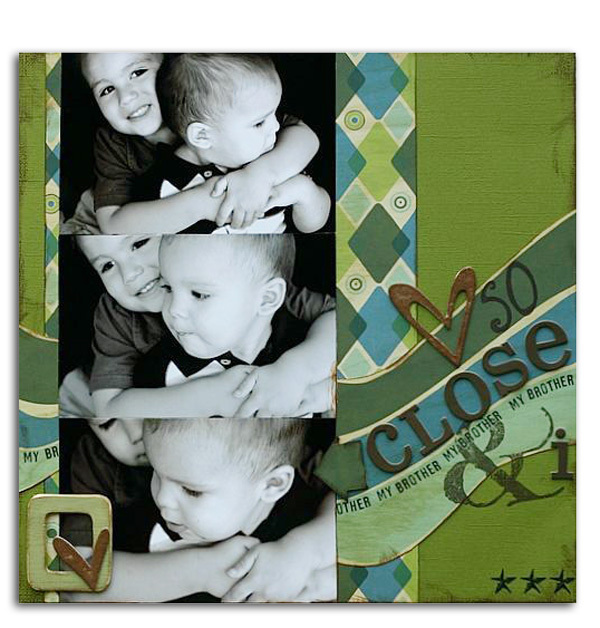 We totally love what she's done here with Laguna Boy, Extreme Boy and Cousins papers, respectively. Earlier this year Junkitz launched the Rhythmz range. A love for music inspired Stacey Panassidi to create the wild new Rhythymz line of papers and coordinating embellishments with 4 bright and bold colour combinations. This week we leave you with a collection of layouts from the Junkitz Design Team, using the Rythymz collectionz - Classic Rock and Hip Hop, Pop Rock and R&B. 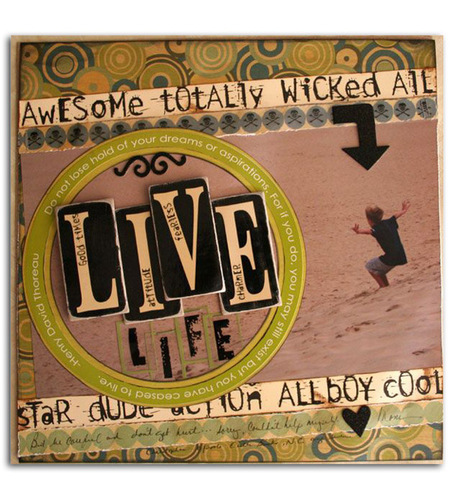 This Friday the weekend inspiration comes from the Junkitz Collectionz range. 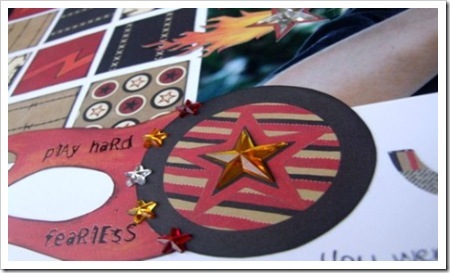 With so many different colours and themes to work with, not to mention all the co-ordinating embellishments, the Collectionz are sure to suit everyone! And they are so easy to use. Below the Design Team show how they have interpreted a few of the different Junkitz Collectionz ranges. 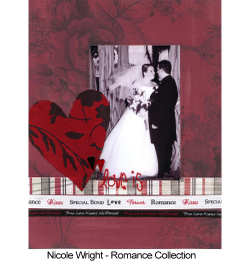 Perhaps, go with a theme, such as the gorgeous 'Love Is' page created by Nicole Wright using Romance Collectionz, or the quirky 'Trouble' layout by Caroline McLachlan and 'Friendship' Book also created by Nicole Wright. 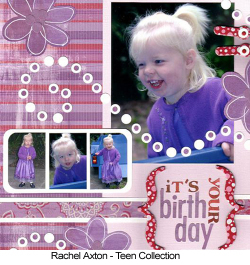 Or use the papers and interpret your own theme as Suz Doyle has done with her 'Boxing' layout and Rachel Axton with her 'It's your Birth Day' layout. 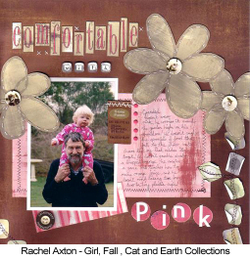 Alternatively if you're feeling adventurous, mix multiple themes as Rachel Axton did on her 'Comfortable with Pink' layout. 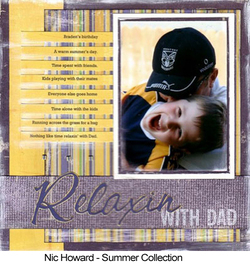 Thanks also to Nic Howard who shared this stunning layout 'Relaxing with Dad' of her two gorgeous men! We just had to include it! And don't forget, we are always on the lookout for inspirational layouts using any of the products that we sell. Please see separate post called "Submissions - Weekend Inspiration" for more information on submitting work for consideration. 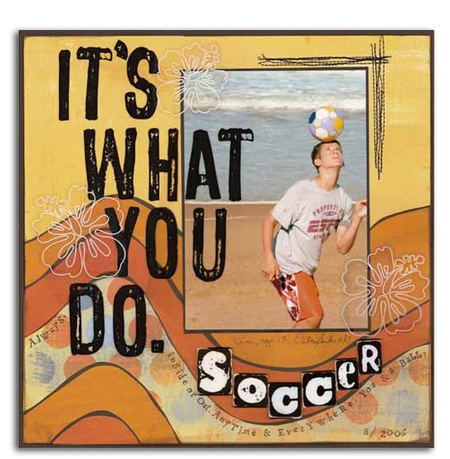 As we love to see what you've been doing!